Thank you for your recipes! Yours are simple and easy to understand! Sometimes I just want something simple to work with. I really love surfing with this page.The page rank is pretty high plus the fact that all bloggers are posting valuable content! I will try the spiced sweet potato recipe. Our family will love it because they are in the go to eat spicy foods. Thanks for sharing the recipe, you explain it well and the direction is easy to understand. I have been to different blogs and found that the recipes and directions they post are difficult to understand. I will come back to your site to learn easy to understand recipe again. Hey Stacey. This just looks delicious! It is my turn to cook tonight so i will try it….you are going to be responsible for a very happy wife. Thanks for sharing! The best thing cook with slow cooker is that you only need to put all ingredients at once and you can leave it for any other activities. When you came back in the kitchen there you go your meal ready to serve. I just never seem to find the best tasting sweet potatoes at my local food store. It would be nice to try this recipe! Thank you for sharing this recipe. I will try to do for my family. Awesome recipe iam going to try this at home tonight. Looking so good. Great write-up! 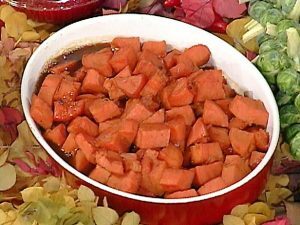 Next time you work with sweet potatoes try white sweet potatoes – I usually find them no problem in whole foods – they are great. The best way to prepare them is to slice them ultra thin (keep skin on) and put them in an oilless air fryer, season with salt and red pepper flakes and cook them until they’re crispy. thank you very much for sharing best delicious recipes here.keep posting many more interesting recipes. I am very much impressed by the article…!!! 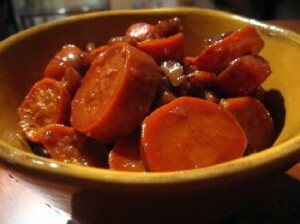 This is the second recipe I viewed on your site, and it is as great as the first one I liked!